In this week’s recap: the “yield curve” inverts for the first time this decade, the Federal Reserve adjusts its stance on interest rates, and the price of oil climbs. Read all about it here. In this week’s recap: the Dow, S&P, and Nasdaq all advance more than 2% in five trading sessions, while investors review tame inflation data and wait for further news in U.S.-China trade negotiations. Read all about it here. In this week’s recap: a disappointing jobs report and a downgrade of the 2019 growth forecast for Europe give Wall Street pause. Read all about it here. In this week’s recap: stocks end the week little changed after investors interpret commentary from Jerome Powell and hear that higher taxes on Chinese imports are indefinitely postponed. Read all about it here. In this week’s recap: the Dow extends its win streak, Fed minutes reveal a little uncertainty, and home sales weaken again. Read all about it here. In this week’s recap: solid gains for U.S. equities, a second shutdown avoided, and interesting developments regarding inflation and retail sales. Read all about it here. In this week’s recap: minor gains for major stock indices, a March deadline looms for U.S.-China trade talks, and good news about the service industry. Read all about it here. In this week’s recap: a hiring surge, a noteworthy remark from Jerome Powell, a dip for a respected household confidence index, and gains on Wall Street. Read all about it here. In this week’s recap: home sales slip, the Fed may be discussing an end date for its balance sheet reduction, leading indicators flash weaker signals, and equities continue to climb. Read all about it here. In this week’s recap: consumer sentiment declines, new ideas surface in U.S.-China trade talks, oil advances again, and the major indices post weekly gains. Read all about it here. In this week’s recap: the CPI decreases, a service sector activity index takes a fall, oil’s rebound continues, and equities advance. Read all about it here. In this week’s recap: an impressive jobs report, a disappointing factory activity index, a slight recovery for oil, and some tailwinds on Wall Street. Read all about it here. In this week’s recap: A look back at 2018. Read all about it here. In this week’s recap: the Fed disappoints the markets, more homes move, consumer spending and sentiment look solid, and oil falls. Read all about it here. In this week’s recap: inflation moderates, oil prices head south, and equities have a tough week. Read all about it here. In this week’s recap: the pace of job creation slows, the factory & service sectors expand, OPEC signs off on an output cut, and Wall Street copes with turbulence. Read all about it here. In this week’s recap: stocks soar, the USMCA is signed, households spend more, and two housing market indicators fall short. Read all about it here. In this week’s recap: a gain in existing home sales, a dip for consumer sentiment, more pain for the oil sector, and more losses for the big three. Read all about it here! In this week’s recap: a bit more inflation pressure, a big fall retail sales gain, another setback for light sweet crude, and a down week on Wall Street. Read all about it here! In this week’s recap: swift service sector expansion, sustained consumer optimism, a surge in wholesale inflation, and gains for equities. Read all about it here! In this week’s recap: exceptional jobs data, a rally on Wall Street, high marks for consumer confidence and spending, and a dip for a key factory indicator. Read it all here! In this week’s recap: a first-rate Q3 GDP reading, mixed housing indicators, slightly weaker household sentiment, and a significant retreat for equities. Read all about it here! If you haven't been a victim of an I.R.S. scam, you probably have heard of someone who has. This post goes over some of the phone scams being perpetrated by criminals claiming to be the I.R.S. (or anyone else). Read all about it here. In this week’s recap: home sales lag, retail sales barely improve, new Fed minutes discuss staying the course, and major equity indices advance. Read all about it here! In this week’s recap: more downward pressure on equities, retiree incomes get a boost, yearly inflation declines, and consumer sentiment misses expectations. Read all about it here! Late last year, federal tax laws underwent sweeping changes, but some changes to the Internal Revenue Code were less publicized than others. In this post you'll learn what those changes are and how they will affect your 2018 federal return. In this week’s recap: stocks slump as the 10-year Treasury yield spikes, an ISM index hits a historic peak, job creation weakens, and oil extends its winning streak. Read all about it here! In this week’s recap: the Fed hikes, consumers feel optimistic, personal income and new home sales improve, and the major indices have a mixed week. Read all about it here! Can a child inherit an IRA? Can you have a say in what happens to the assets? What about a trust? And how about the tax implications? Find out what you should know about naming a minor as an IRA beneficiary. Read all about it here! In this week’s recap: the Dow returns to record territory, home sales flatten, housing starts surge, and the price of oil rises. Read all about it here! In this week’s recap: consumer optimism increases, the retail sales pace slows, inflation pressure weakens, and Wall Street sees wide-ranging gains. Read all about it here! Recently, President Trump and Secretary of the Treasury Steven Mnuchin both voiced their support for an intriguing idea: the indexing of capital gains. Investors would be taxed less if this idea gets the green light. Read about it here. In this week’s recap: wage growth picks up, the factory and service sectors hum with activity, oil retreats, and new tariffs could be imposed on China. Read all about it here! In this week’s recap: the Nasdaq reaches new heights, consumer confidence and spending numbers impress, and a new trade deal could take the place of NAFTA. Read all about it here! What should you know about Medicare? Here we'll explore some misconceptions plus the details you should know about Medicare. Before you enroll, take note of what the insurance does not cover and the changes ahead. Click READ MORE to learn all about it! In this week’s recap: a milestone for the current bull market, new record highs for two equities benchmarks, a dip in home sales, and a win for oil. Read all about it here! In this week’s recap - households buy more but feel less upbeat about the near future, the Dow rises, and home builders start more projects. Read all about it here! Claiming your social security retirement benefits is a major decision. You'll want to consider a few key factors first and give thought to these 3 questions. Click READ MORE to learn more! In this week’s recap - core inflation reaches a 10-year peak, oil’s losing streak continues, earnings impress, and Wall Street indices have a mixed week. Read all about it here! In this week’s recap: stocks continue their win streak despite a mediocre jobs report and dips for the ISM indices; household spending and confidence rise. Read all about it here! What Are My College Funding Options And Resources? How can you save for your child's future college expense? The obvious answer, of course, is to start saving early and often. However, here are some other college savings vehicles and resources to consider. Click READ MORE to learn more! In this week’s recap: an impressive Q2 GDP reading, a consumer sentiment dip, a falloff in home buying, and the end of a long stock market correction. Read all about it here! In this week’s recap: retail sales impress again, groundbreaking suddenly tails off, stocks tread water, and more tariffs might be in store for China. Read all about it here! If your child is approaching college age, a good first step is estimating the potential costs. This worksheet can help you get a better idea about the cost of a four-year college. Click READ MORE to see what it's all about! In this week’s recap: inflation pressure mounts, a household sentiment index dips, gold settles lower, and stocks rally as a new earnings season begins. Read all about it here! In this week’s recap: impressive hiring, healthy service and factory sectors, the Fed’s view of the present and near future, and gains for equities. Read more here, plus see what's in store for this week and who will be reporting earnings! Life can sometimes present circumstances that require access to your IRA savings. Here are a list of withdrawals that may be taken from an IRA without incurring a 10% early withdrawal penalty. Click READ MORE to learn more! Did income and spending rise? What about core inflation? How's consumer sentiment? Did new home sales jump? And the stock market performed how? Read more here, plus see what's in store for this week and who will be reporting earnings! Tariff talk intensifies... Did home sales weaken? How about residential construction? And what happened to blue chips? Read more here, plus see what's in store for this week and who will be reporting earnings! One of the common threads of a mobile workforce is that many individuals who leave their job are faced with a decision about what to do with their 401(k) account. Click READ MORE to learn more about 3 options that are available. Fed, new tariffs get Wall Street's attention. What is yearly inflation? Was there an advance in retail sales? How did the major indices perform? Read more here, plus see what's in store for this week and who will be reporting earnings! What milestone was hit within the service businesses? Q2 GDP outlook brightens. Social security does this for the first time in 36 years... Read more here, plus see what's in store for this week and who will be reporting earnings! You're path to retirement may include snags that could derail you're retirement. But, preparing for what lies ahead can make the journey a bit more enjoyable. Click READ MORE to see some of twists you might encounter. Did hiring & household spending strengthen? Consumer confidence rebounds; factory sector continues to boom. How did Wall Street react to new import taxes? Read more here & see what's in store for this week & who will be reporting earnings! Why did home sales decline? Did consumer sentiment turn higher or lower? What happened to oil? Did all 3 major Wall Street equity indices advance? Read more here, plus see what's in store for this week and who will be reporting earnings! Bitcoin. It's a topic we get asked a lot about. Bitcoin is a currency, but it's different than the currency we use in three fundamental ways. Click READ MORE to learn more about it! Retail sales rise. How about construction? Home loan rates reach 7-year high. Which index made history? Read more here, plus see what's in store for this week and who will be reporting earnings! Oil hits a 4-year peak. How about consumer sentiment? And what's the status of inflation? Did Wall Street have a big week? Read more here, plus see what's in store for this week and who will be reporting earnings! Many questions can arise during the financial planning process. Here are some quick yes/no questions that will give you perspective on various financial planning issues/concerns and help you start the process. Click READ MORE! What hit an 18-year low? Did personal spending improve? How are the factory & service sectors doing? What about the three major Wall Street indices? Read more here, plus see what's in store for this week and who will be reporting earnings! Optimism on Main Street? How fast did the economy grow in Q1? Is spring bringing the home buyers out? How did equities perform last week? Read more here, plus see what's in store for this week and who will be reporting earnings! What Do The Stock Market And A Vegas Casino Have In Common? All too often the financial industry bombards us with marketing materials and literature and it’s up to us to make sense of it. So, in this post I share a clever marketing piece from Oppenheimer Funds and break it down. Click READ MORE! How did retail sales do in March? Did construction activity increase or decrease? What about industrial output? Did Wall Street advance for the week? Read more here, plus see what's in store for this week and who will be reporting earnings! Did CPI fall or rise? What about consumer sentiment about the economy? Why did oil soar? Earnings season begins, so how did stocks do? Read more here, plus see what's in store for this week and who will be reporting earnings! How Will Inflation Affect Your Retirement? Use This Inflation Calculator. It may surprise you how fast inflation can erode purchasing power. Click READ MORE - this calculator is designed to help you estimate how much more income you may need at retirement to keep your same standard of living that you have today. Did hiring weaken or strengthen? Trade tensions persist... How are the U.S. service and factory sectors doing? April begins with volatility. Read more here, plus see what's in store for this week and who will be reporting earnings! Has consumer spending maintained its pace? Optimism on Main Street? What about pending home sales? And how did the 3 major US equity benchmarks do? Find out here, plus see what's in store for this week and who will be reporting earnings! In this post I'll review how often, when and why you should review your beneficiary designation and what happens if you don’t have a designated beneficiary. Plus, I'll review the estate and income tax consequences when naming beneficiaries. The Fed makes its first interest rate move of 2018...How did the trade war possibility impact stocks? How are existing home sales? And what about oil? Find out here, plus see what's in store for this week and who will be reporting earnings! How much did the CPI rise in February? Is the consumer confident? Did housing fall or rise? How did all three major Wall Street benchmarks perform? Find out here, plus see what's in store for this week and who will be reporting earnings! Reality is, at some point we may need to pay the expenses of long term care. However, we shouldn't wait; the time to create a plan is now, while we're healthy. First, let's understand the risks and realities. Click READ MORE to find out! How did the market perform? What about oil, is it up or down? Was there a surge in hiring in February? Are service businesses doing well? Find out here, plus see what's in store for this week and who will be reporting earnings! How's the confidence in the economy? Were new home sales up or down? What happened to the major indices? Plus, find out some solid readings on some key indicators, and see who will be reporting earnings. Click READ MORE to find out! 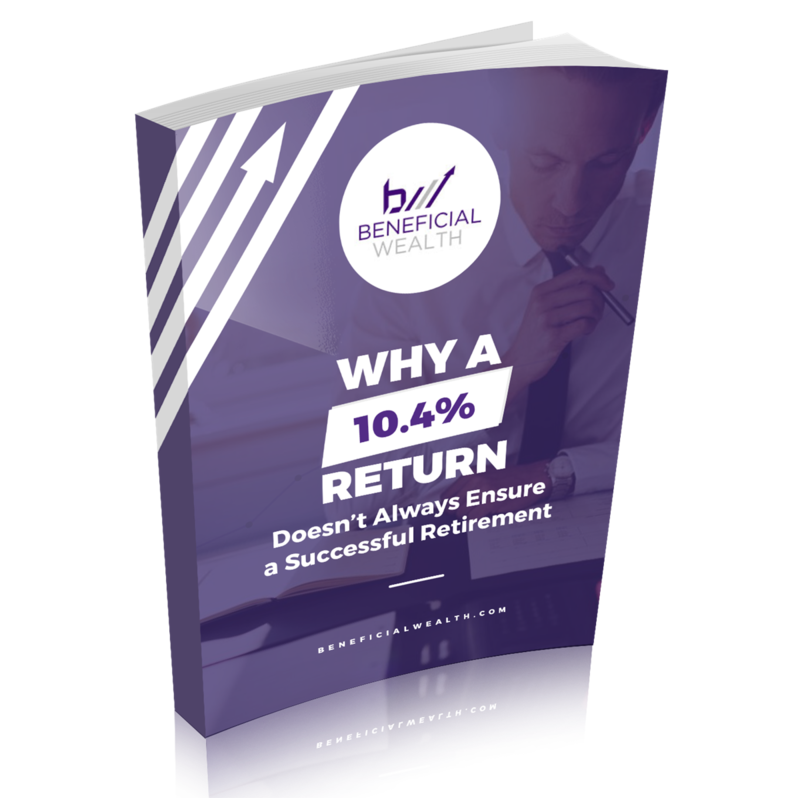 In this post I'll explain why we need a different investment strategy than in the past, in order to generate sufficient retirement income off of your investments. You'll discover what that strategy is, how it's implemented, plus more! Are fewer homes being sold? Oil advances... and so do stocks! Find out here, plus see what's in store for this week and who will be reporting earnings! The CPI marked it's largest monthly gain in almost 13 years. Did the tailwinds return to Wall Street? What about retail sales and developers? Find out here, plus see what's in store for this week and who will be reporting earnings! Do you have excess money sitting in a savings account? Is it sitting there paying you a whooping .25% in interest (if that!)? What if there was another option? Click READ MORE to find out! Wall Street sees its first correction since 2016... How is the service sector looking and what about Q4 earnings? Find out here, plus see what's in store for this week and who will be reporting earnings! What happened to stocks last week to start February? How did wage growth and the factory sector do? Did personal spending and incomes rise or fall? Find out here, plus see what's in store for this week and who will be reporting earnings! How did the economy do in the fourth-quarter? Did home sales decline or advance during the holidays? Is oil on the rebound? Find out here, plus see what's in store for this week and who will be reporting earnings. Click READ MORE! Here is a snapshot of what went on last week, plus what to look for this week. Regardless of the reason for retiring early, here are some of the moves you’ll want to make to make sure you’ll be ready for retirement. Click READ MORE to read all 7! In this post I’ll review some of the limitations and complexities regarding rolling over non-spouse inherited IRAs, and will also cover the Required Minimum Distribution rules, plus more, so you can make the most of your inheritance. Retirement risks - we all know that they are there, but how many are there really? Some articles say 4, others say 7, others say 10, others say... How about this, I'll list 18 of them and you can choose which ones are most important to you. Ever wonder how much you really pay in taxes? Looking for some money tips to make before year-end? Well then, click READ MORE and you'll find out! This post will help you understand the risks, realities, questions to ask and potential ways to pay for these expenses when they arise, so you can be best prepared for the possibility that at some point, we may need care. Click READ MORE! I get it. It’s not easy. When it comes to investing, emotions can get the best of us. In this post, I'll provide shocking historical context that'll put into perspective why it's important to stick to your plan to achieve financial success. Life Insurance. Oh boy…what an ugly word. For whatever reason, life insurance has a negative connotation to it. But, it can be used in many ways-to cover a mortgage, to cover a loan, build tax free wealth, etc. READ MORE to read this post! When saving for retirement, you want to position your savings in ways that give you the potential for higher retirement income streams. In this post, I'll give you 3 questions that you should ask that will ensure you are on the right path. How Do I Claim The Most Efficient Social Security Retirement Strategy? Should I Add Disability Income Protection Riders? Many people we speak with are concerned about how to best protect their income. They quickly become overwhelmed by all the different options and “riders” that are available. In this post I'll explain 5 riders that are useful and beneficial. Should I Purchase Disability Insurance? That depends. But whatever you decide, read this post first. It will possibly put this topic into perspective and give you a better grasp of whether you should look into disability insurance. Click READ MORE to give it a read. Does Your 401(k) Have Company Stock In It? Read This Before You Do A Rollover. The Nondeductible IRA, aka, the backdoor Roth IRA. What is it? How does it work? What are the tax consequences? Plus you'll see a hypothetical example to see how it works. Click READ MORE to learn more! When Is The Deadline For Making An IRA Contribution?